Publlished by Lock 'n Load Publishing. 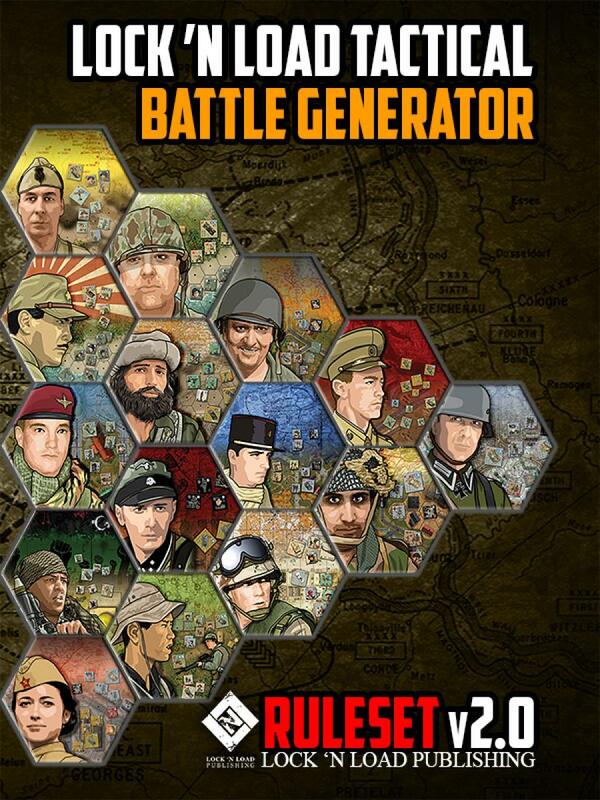 You must own one of the Lock 'n Load Tactical Core Games to use this Generator System. The Lock 'n Load Tactical Battle Generator v2.0 puts the power to create scenarios and engagements into the player's hands, allowing you to get the most out of your games as you go from scenarios we built to charting your own course. Since it's inception, the Lock 'n Load Tactical Series has been defined by two things: its innovative rule set and its engaging scenarios. 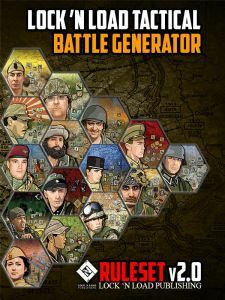 This generator is based on a point system defined by the size of the battle you want to play and then modified up or down by the variables of the battle. This means that you get to the action fast. Use those points to select forces using either a random chit pull system, or by using the Unit Selection tables provided in this book, with point values for all the units in the entire LnLT Franchise, organized by the game they appear in. The Battle Generator can be used in whole or just the parts you want to play with. Play the force you want when you want.